Bosch Power Tools, part of a $75 billion global corporation, has been an Imagine client for over 12 years. 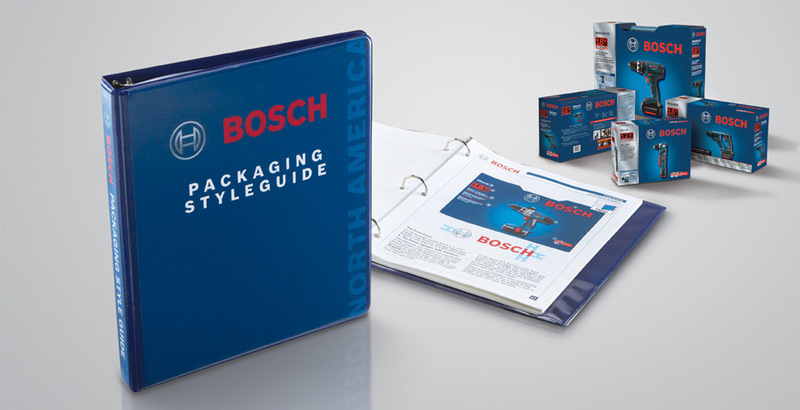 As part of this partnership, we worked with Bosch Germany to “Americanize” a European package design that better communicates to the American Consumer. We then wrote and developed the Style Guidelines. Since then, Imagine has been the guardians of their North American packaging graphics standards. The parent company in Europe wanted to harmonize its packaging worldwide, while the North American division was concerned that the common packaging design would alienate professional tool purchasers in the U.S. and Canada. Imagine needed to create a solution that would bring the two culture’s requirements together. The standards that Imagine created brought together universal artwork reproducibility, package structure and construction. Imagine was then charged with policing its implementation. Whatever the project, the Bosch Power Tools brand message is now delivered consistently to the professional tool purchaser in North America.